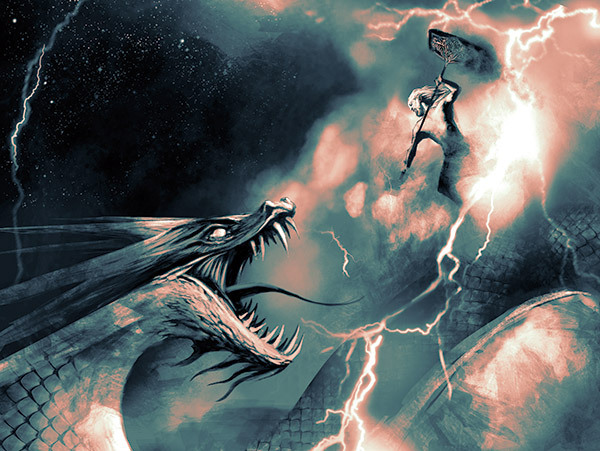 Fantasy Flight Games is proud to announce the upcoming release of Wrath of the Gods, the second book in The End of the World roleplaying line! Like the other books in The End of the World roleplaying game line, Wrath of the Gods offers you a one-of-a-kind opportunity – the chance to play as yourself amidst the tumult and terror of the world’s ending. Five distinct scenarios offer different ways the world might end as ancient deities return to save or destroy humanity. With a unique scenario structure, dozens of possible adversaries and encounters, and an elegant, narrative rules system, Wrath of the Gods pulls you as close as you can (safely) come to the end of life as we know it. Most roleplaying games invite you to step outside of yourself into a character that you imagine – perhaps a reptilian shaman or a stealthy gnome assassin. The End of the World is different: it gives you the chance to play as yourself in the midst of a divine apocalypse! Before your first game of Wrath of the Gods, you’ll create an abstracted version of yourself, focusing on six characteristics: dexterity, vitality, logic, willpower, charisma, and empathy. These characteristics help determine exactly what you are capable of as you take up arms alongside the Norse gods or negotiate with warriors from the ancient Mayan civilization. In addition to these characteristics, you’ll create positive and negative features to further define yourself within the game. Features are much more unique than characteristics – these are the abilities, weaknesses, and quirks that make you unique, divided into physical, mental, and social categories. In the game, your features can affect anything you do: positive features give you an edge when you try to complete a related task, while negative features can cause you to suffer more stress from certain tasks. For example, you may have the Long-Distance Runner positive feature in the physical category, which will help you outrace an unexpected Deep One attack. However, you may also have to find a way to deal with the Gets Sick Easily negative feature – a feature that Pestilence, one of the Four Horsemen, is certain to exploit. Whatever makes you different, you can use features to weave it into your character in Wrath of the Gods. After you’ve created your character, you’re ready to begin one of the five scenarios included in Wrath of the Gods. No matter which scenario you play, every game of Wrath of the Gods starts in your hometown. You’ll hide from trolls and goblins in familiar buildings and parks, and you’ll have to use whatever gear and weapons you have nearby to survive when every animal on Earth suddenly turns against humanity. Will you stay put and attempt to fortify your home against Mayan warriors, or venture out in search of a more secure shelter and risk the attention of a fallen angel? A wooden baseball bat may be your best defense against a draugr or other monsters until you can find more suitable weapons. What’s more, adequate supplies of food and medicine quickly become difficult to find in humanity’s last days, and any expedition bears the constant risk of being captured and tortured by Deep Ones or caught in a unexplainable volcanic explosion. Your starting place and hometown may remain the same between games, but each of the five scenarios in Wrath of the Gods offers a very different look at how the supernatural might end civilization. The ancient Mayan apocalypse may come to pass, along with the return of the Mayan people and the feathered serpent, Quetzalcoatl. You may find the events foretold in the Book of Revelation unfolding around you as the Four Horsemen ravage the world. Earth itself may reject humanity, causing animals to turn on their masters and plants to grow at unbelievable speeds. The Norse gods may return to the world to meet their fated opponent as Ragnarök explodes around you. 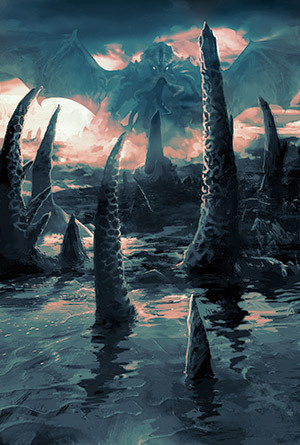 Finally, Cthulhu may rise from his resting place in the heart of the Pacific ocean, heralded by cultists and Deep Ones and bringing untold terror and insanity to every inhabitant of Earth. Each scenario offers profiles for the NPCs you may meet, as well as plenty of locations with lists of possible encounters. 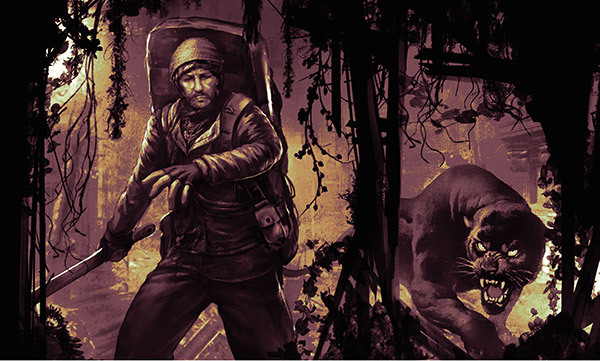 Whether you’re fleeing the titanic battle between Thor and Jörmungandr, reasoning with a trigger-happy gang of looters, or attempting to outwit a hunting panther, these NPC profiles and possible encounters give you the tools to flesh out the end of the life as we know it. Whichever scenario you play, Wrath of the Gods offers a unique structure that splits each scenario in two. The first half of the scenario focuses on the initial furor and panic of the apocalypse’s outbreak. Countless people die in the first days of the apocalypse, but for those who survive, a new normality is eventually established in the post-apocalypse. The post-apocalypse may lack the thrashing fury and danger of the apocalypse’s first spasms, but in many cases, the post-apocalypse world is more dangerous than ever. For example, the apocalypse may chronicle Cthulhu’s rise from the Pacific and his rampage across the world, while the post-apocalypse challenges you to survive as Deep Ones and Star-Spawn systematically hunt down humans for sacrifice. The flexible scenario structure used in Wrath of the Gods enables you to run whatever campaign fits you and your players. You may plan a one-session event, inviting your players to survive as long as they can in the chaos of Armageddon, or you may run a campaign spanning years as your characters live through Earth’s initial assaults on human technology and civilization and learn to forge a new life in the untamed wilderness of the post-apocalypse. The gods descend to Earth, and you and your companions must find some way to survive the divine wrath. Whether you take up arms with heroes of yore, ambush a hunting Star-Spawn, or travel through the trackless forests that consume our cities, you’ll find new adventure and thrills at the end of the world with Wrath of the Gods! Look for Wrath of the Gods at your local retailer in the second quarter of 2015.